Houston: we've got lift off. Designed to meet the needs of elite triathletes, the Cosmic Elite Triathlon Shoe from Mavic provides super-sonic transitions on top of a ultra-stiff sole. Constructed with a supple synthetic micro fibre upper, the Cosmic Elite delivers an optimal fit. Adding in strategically placed laser cut holes for air flow, these shoes deliver the maximum in ventilation for cool riding and quick drying. With its Ergo Tri Strap, a broad hook-and-loop strap across the forefoot and a large heel loop make for quick, effortless transitions that save valuable seconds. 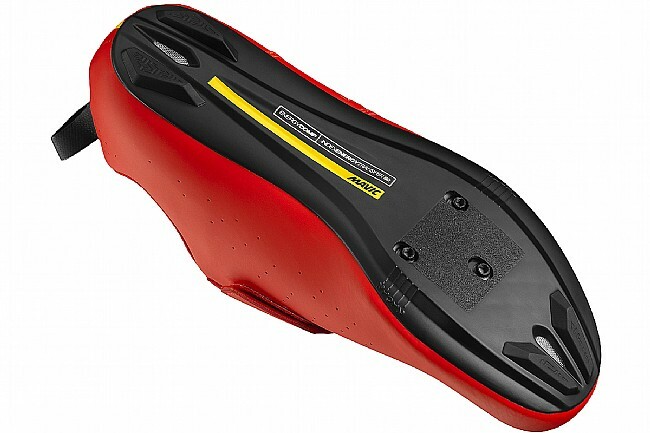 Down below, Mavic's Energy Comp Outsole offers slightly more flexibility than their full carbon version on the Ultimate, offering increased comfort without losing much power. 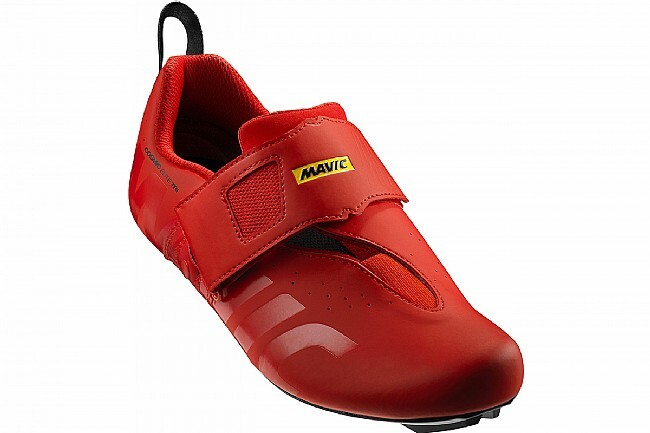 The Mavic Cosmic Elite Triathlon Shoe is compatible with 3-bolt cleats and road pedals. Synthetic Micro Fibre Upper provides the optimal fit and ventilation. Ergo Tri Strap and heel loop make transitions lightning fast and effortlessly easy. Energy Comp Outsole features a low stack for optimal power transfer, and an optimally stiff construction. Ergo Fit 3D OrthoLite® ergonomic insole delivers superior cushioning and unmatched comfort. Fit just how I need them to. 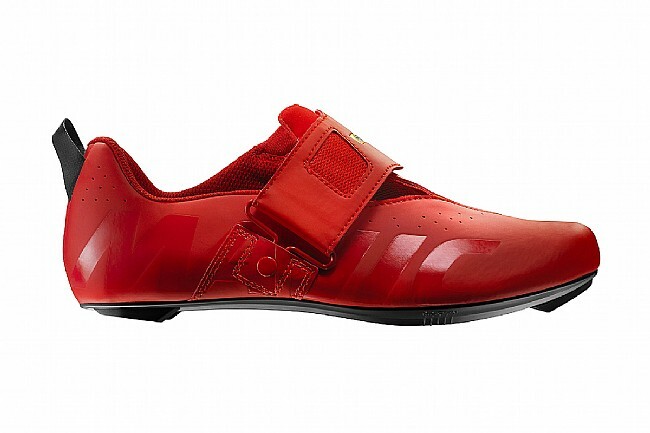 Stiff sole, easy to get in and off during race situations.